Home » WTF Japan? 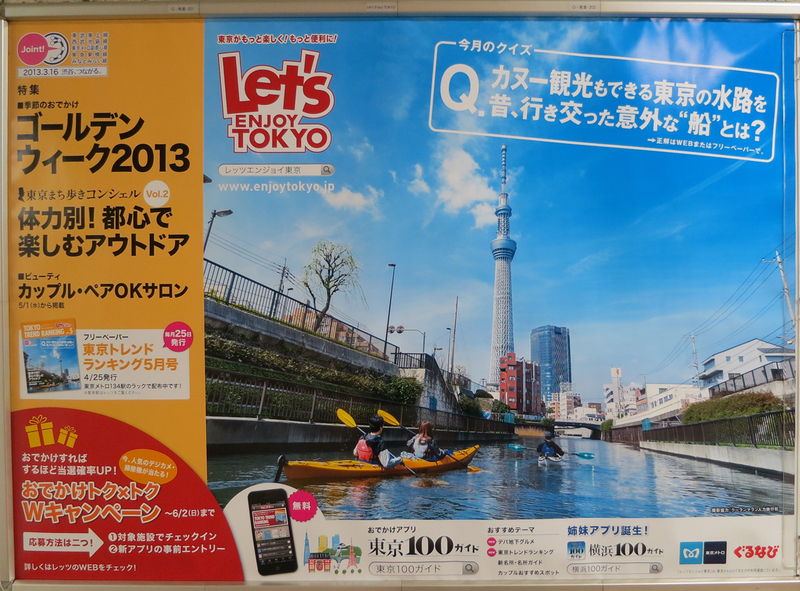 » Kayak The Untamed Canals Of Tokyo! Kayak The Untamed Canals Of Tokyo! After you’ve climbed the north face of Everest, surfed the 50-footers at Mavericks, and helicopter boarded the Eyjafjallajokull volcano, what’s left for next year’s Golden Week? Sadly, you discover that your idea of kayaking the Amazon from its headwaters in deepest darkest Brazil would require longer than five days. But then you see this subway poster at Akasaka-Mitsuke! What about a heart-stopping adventure right in your own back yard? Of course, it’s rather unlikely you’ll spot any rare blue poison dart frogs while padding your way through Asakusa – even though this uncharted canal will take you through eyepoppingly grim parts of Tokyo that aren’t mapped in any guide book – but on the other hand, in the Amazon you can’t stop off at Skytree for some nice sushi and a beer at lunchtime. If you’d like to visit the Asakusa area the next time you’re in Tokyo, directions & maps are on my travel website, The Tokyo Guide I Wish I’d Had.